Divinity: Original Sin is getting a sequel everyone! Well, it will if you fund it. Which you will, right? I mean, after all, you all voted for it as the Best Indie Co-Op Game of 2014. That's what I thought. So go ahead and get your financials squared away so that you're all prepared to start throwing money at your computer screen next Wednesday, August 26. Divinity: Original Sin wouldn’t be the game it was without the input from our Kickstarter backers & Steam Early Access players. There were a lot of them and they pushed us forwards in directions we hadn’t anticipated when we started development. To this day, our entire team is incredibly grateful for this. Our community was a critical factor for the success of the game. Without having that same community on board, I think it’s going to be very hard for us to achieve the goals we have with Divinity: Original Sin 2, and so we’ll do our very best to convince them to back us once again. The result at the end will be so much better if they do. Swen goes on in the blog to state that with much of the ground work already in place, they hope to make Divinity: Original Sin 2 even better and that they can focus more of their time on doing "cool things". Maybe that includes allowing for four players? 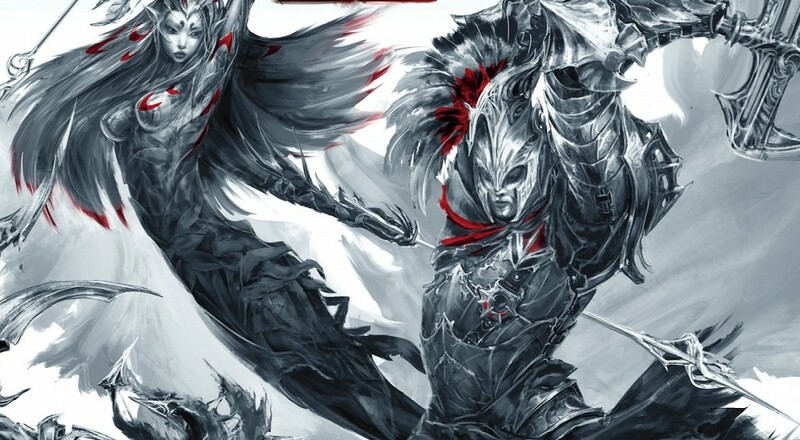 I mean, this is pure speculation, but the box art for the game does show four creatures with stylized red on them similar to how the main protagonists were highlighted in Divinity: Original Sin. Larian is even doubling down on the community interaction by allowing fans to suggest possible reward tiers for the campaign. Hopefully Larian enjoys as much success with their campaign this time around as they did with the original. Divinity: Original Sin is one of the better cRPGs I've played in some time and with so much of the foundation now in place, I'd like to see what they can do with a bit of freedom (and time) to craft the world, characters, and gameplay further.